Choosing the best lawn mower can often be a challenge, but we've made the process easier by highlighting the main things to consider. 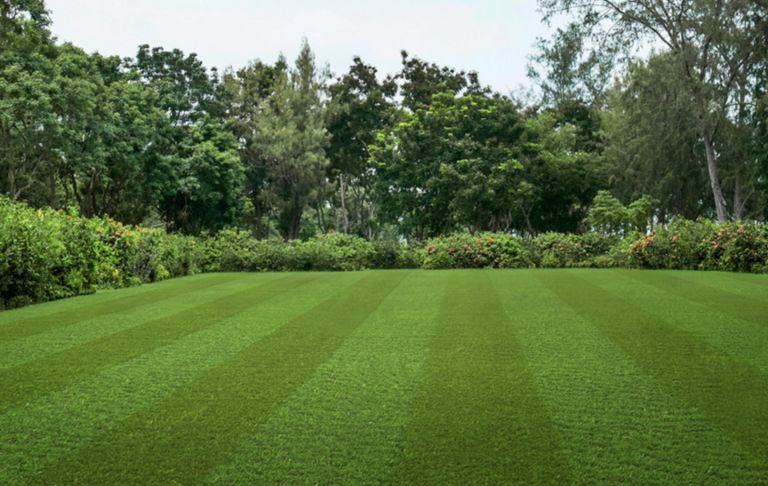 From thinking about your own comfort when mowing the lawn to the desired finished look of your lawn, we've got all the different aspects of buying a lawn mower covered. Want to choose from the very best? Consult our buyer's guide to the best lawnmowers. The size of your garden will determine which type of lawnmower is most suitable. It’s important to take into account the cutting width of the mower blades, as the wider the blade, the less time it will take to finish the lawn. Ultimately if you have a larger lawn it would benefit from a mower with a larger cutting width, such as 40 or 43cm, to make the job quicker and easier. Choosing between corded or cordless lawn mowers is dependent on your garden size: if you don’t have easy access to a mains power supply, cordless is the best option, a battery-powered lawnmower, which will give you freedom from power cables and allow you to roam across the lawn, while having as much power as a corded option. A lithium ion battery can provide enough power to last for up to 90 minutes, and in most cases will take an hour to charge. The downside to a cordless lawnmower? They may not quite have the power needed to tackle really long grass. We have both corded and cordless models in our buyer's guide to the best electric lawn mowers. Try out a selection of lawnmowers to establish the comfort of the design in use and its weight. Look out for styles that you’ll be able to use without hunching over or stretching to reach the controls as this could cause muscle strain. The most comfortable lawnmower for women will also likely be a smaller, lightweight model. If you have limited mobility, a robotic lawn mower might be the best solution. Check out our buyer's guide to the best small garden lawn mowers. You should give consideration to how you want the finished lawn to look once it is mowed. Some lawnmowers include grass combs, which allow you to mow up to and over the edge of your lawn, without the need to always finish the edges with a separate tool. Choosing a lawnmower with an integrated rear roller will allow you to recreate the traditional two-tone stipe look too. Find out how to mow your lawn for best mowing results. The days of lawnmowers being regarded as gas-guzzling gadgets that emit toxins and create noise pollution are long gone. Today, the lawnmower has had something of an environmental makeover with battery-powered options now presenting a more eco-friendly option, reducing noise, fumes and use of non-renewable fuels. To get the most out of your lawnmower and to ensure it stands the test of time, it’s important to give it the right care. By brushing away any grass clippings around the mower bowl after each use and carefully checking blades for breakages and trapped debris will help keep your mower running efficiently help it last for many years. Not sure your want a lawn at all? Here are some alternatives to laying a lawn.